Ram Manohar Lohia was born on March 23, 1910 in a village named Akbarpur in the District of Faizabad. Ram's father, Hira Lal, was a nationalist by spirit and a teacher by profession. His mother, Chanda, died when Ram was very young. Ram was introduced to the Indian freedom struggle at an early age by his father through the various protest assemblies Hari Lal took his son to. Ram made his first contribution to the freedom struggle by organizing a small hartal on the death of Lokmanya Tilak. Hari Lal, an ardent follower of Gandhiji, took his son along on a meeting with the Mahatama. This meeting deeply influenced Lohia and sustained him during trying circumstances and helped seed his thoughts, actions and love for swaraj. Ram was so impressed by Gandhiji's spiritual power and radiant self-control that he pledged to follow the Mahatma's footsteps. He proved his allegiance to Gandhiji, and more importantly to the movement as a whole, by joining a satyagraha march at the age of ten! While in school reading the prescribed history book, Lohia noted that the British author of the textbook referred to the great Maharashtrian king Chatrapati Maharaj Shivaji as a "bandit leader" (lutera sardar). Lohia researched the facts and proved that the label "bandit leader" was an unjust description of the Maharaj. Lohia launched a campaign to have the description striken from the textbook. Lohia organized a student protest in 1918 to protest the all-white Simon Commission which was to consider the possibility of granting India dominion status without requiring consultation of the Indian people. Lohia met Jawaharlal Nehru in 1921. Over the years they developed a close friendship Lohia, however, never hesitated to censure Nehru on his political beliefs and openly expressed disagreement with Nehru on many key issues. Lohia attended the Banaras Hindu University to complete his intermediate course work after standing first in his school's metric examinations. In 1929, Lohia completed his B.A. from Calcutta University. He decided to attend Berlin University, Germany over all prestigious educational institutes in Britain to convey his dim view of British philosophy. He soon learned German and received financial assistance based on his outstanding academic performance. While in Europe, Lohia attended the League of Nations assembly in Geneva. India was represented by the Maharaja of Bikaner, a well known puppet of the British Raj. Lohia took exception to this and launched a protest there and there from the visitors gallery. He fired several letters to editors of newspapers and magazines to clarify the reasons for his protest. The whole incident made Lohia a recognized figure in India overnight. Lohia helped organize the Association of European Indians and became secretary of the club. The main focus of the organization was to preserve and expand Indian nationalism outside of India. Lohia wrote his Phd thesis paper on the topic of "Salt Satyagraha," focusing on Gandhiji's socio-economic theory. When Lohia returned to India in 1933, a comical situation arouse. Ram had no money to reach his hometown from the airport. He quickly wrote a nationalistic article for "The Hindu," the most popular and widely read newspaper and got money to pay for the fare home. Lohia joined the Indian National Congress as soon as he returned home. Lohia was attracted to socialism and helped lay the foundation of Congress Socialist Party, founded 1934, by writing many impressive articles on the feasibility of a socialist India. Lohia formed a new branch in the Indian National Congress--the All India Congress Committee (a foreign affairs department). Nehru appointed Lohia as the first secretary of the committee. During the two years that he served he helped define what would be India's foreign policy. In the onset of the Second World War Lohia saw an opportunity to collapse the British Raj in India. He made a series of caustic speeches urging Indians to boycott all government institutions. He was arrested on May 24, 1939, but released by authorities the very next day in fear of a youth uprising. Soon after his release, Lohia wrote an article called "Satyagraha Now" in Gandhiji's newspaper, Harijan on June 1, 1940. Within six days of the publication of the article, he was arrested and sentenced to two years of jail. During his sentencing the Magistrate said, "He (Lohia) is a top-class scholar, civilized gentleman, has liberal ideology and high moral character." 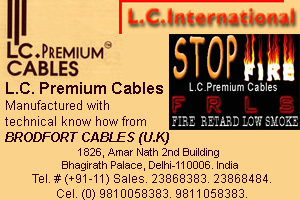 In a meeting of Congress Committee Gandhiji said, "I cannot sit quiet as long as Dr. Ram Manohar Lohia is in prison. I do not yet know a person braver and simpler than him. He never propagated violence. Whatever he has done has increased his esteem and his honor." Lohia was mentally tortured and interrogated by his jailers. On December of 1941, all the arrested Congress leaders, including Lohia, were released in a desperate attempt by the government to stabilize India internally. He rigorously wrote articles to spread the message of toppling the British imperialist governments from countries in Asia and Africa. He also came up with a hypothetical blueprint for new Indian cities that could self-administer themselves so well that there would not be need for the police or army. Gandhiji and the Indian National Congress launched the Quit India movement in the 1942. Prominent leaders, including Gandhiji, Nehru, Azad and Patel, were jailed. The "secondary cadre" stepped-up to the challenge to continue the struggle and to keep the flame for swaraj burning within the people's hearts. Leaders who were still free carried out their operations from underground. Lohia printed and distributed many posters, pamphlets and bulletins on the theme of "Do or Die," on his secret printing-press. Lohia along with freedom fighter Usha Mehta, broadcast messages in Bombay for three whole months before detection from a secret radio station called "Congress Radio" as a measure to give the disarrayed Indian population a sense of hope and spirit in absence of their leaders. Lohia was captured in May of 1944, in Bombay. Lohia was taken to a prison in Lahore, notoriously known throughout India for its tormenting environment. In the prison he underwent extreme torture. His health was destroyed but his courage remained. Even though he was not as fit his courage and willpower strengthened through the ordeal. Under Gandhiji's pressure the Government released Lohia and his comrade Jayaprakash Narayan. A huge crowd waited to give the 2 a heroes welcome. Lohia decided to visit his friend in Goa to relax. Lohia was alarmed to learn that the Portuguese government had censured the peoples freedom of speech and assembly. He decided to deliver a speech to oppose the policy but was arrested even before he could reach the meeting location. The Portuguese government relented and allowed the people the right to assemble. The Goan people weaved Lohia's tale of unselfish work for Goa in their folk songs. As India tryst wit freedom neared Hindu-Muslim strife increased. Lohia strongly opposed partitioning India in his speeches and writings. He appealed to communities in riot torn regions to stay united, ignore the violence surrounding them and stick to Gandhiji's ideals of non-violence. Lohia comforted the Mahatama as nation that once wielded the power of non-violence took refuge in killing their own brothers and sisters. Lohia remained beside Gandhiji as son would remain beside a father. Dr. Lohia was the first to introduce the unification of some 650 Indian princely states together to form larger states, an idea later adopted by Sardar Patel, first Home Minister of India. Lohia favored Hindi as the official language of India, arguing, "The use of English is a hindrance to original thinking, progenitor of inferiority feelings and a gap between the educated and uneducated public. Come, let us unite to restore Hindi to its original glory." He was one of the greatest thinkers the Indian Parliament would ever see. He realized that the prevailing poverty would create an India with a weak foundation. As an economically crippled India tried to find ways to get rid herself of its abject poverty, Lohia decided to make the mass public realize the importance of economic robustness for the nation's future. He encouraged public involvement in post-freedom reconstruction. He pressed people to construct canals, wells and roads voluntarily in their neighborhood. He volunteered himself to build a dam on river Paniyari which is standing till this day and is called "Lohia Sagar Dam." 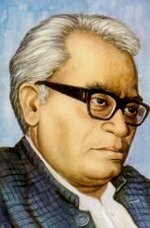 Lohia said, "satyagraha without constructive work is like a sentence without a verb." He felt that public work would bring unity and a sense of awareness in the community. He also was instrumental in having 60 percent of the seats in the legislature reserved for minorities, lower classes, and women. As a democracy, the Indian Parliament was obliged to listen to citizens' complaints. Lohia helped create a day called "Janavani Day" on which people from around the nation would come and present their grievances to Members of Parliament. The tradition continues even today. Lohia wanted to abolish private schools and establish upgraded municipal (government) schools which would give equal academic opportunity to students of all casts. This he hoped would help eradicate the divisions created by the caste system. At the Socialist Party's Annual Convention, Lohia set up a plan to decentralize the government's power so that the general public would have more power in Indian politics. He also formed Hind Kisan Panchayat to resolve farmers' everyday problems. Lohia was a socialist and wanted to unite all the socialists in the world to form a potent platform. He was the General Secretary of Praja Socialist Party. He established the World Development Council and eventually the World Government to maintain peace in the world. During his last few years, besides politics, he spent hours talking to thousands of young-adults on topics ranging from Indian literature, politics and art. Lohia died on October 12, 1967 in New Delhi. He left behind no property or bank balance but prudent contemplations.